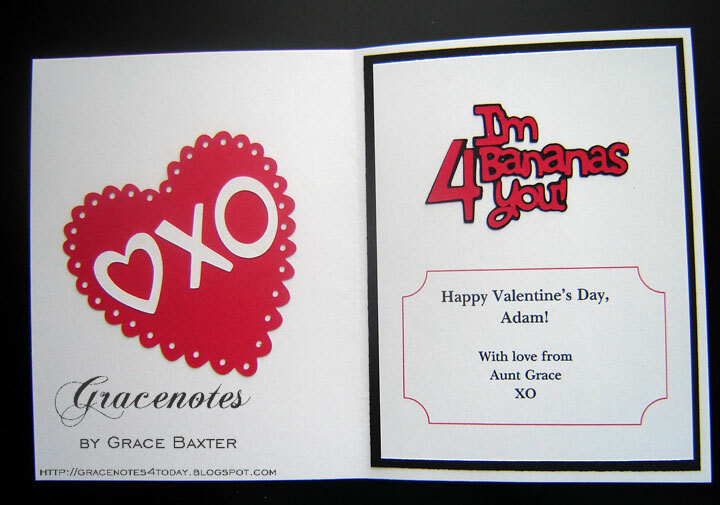 Grace Notes for Today: Bananas 4 You! In making this valentine for my nephew who is a very cool 10-year-old. I needed something fun but not babyish. 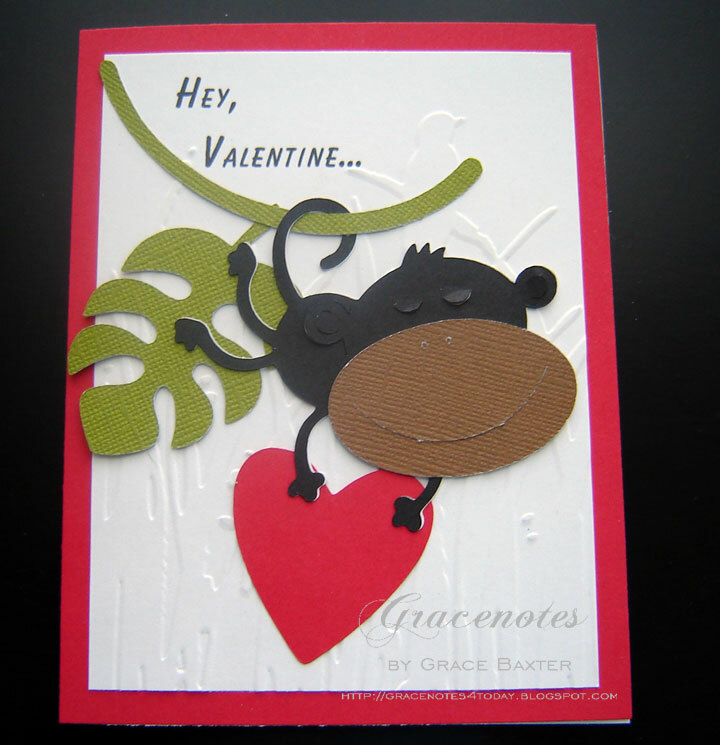 This monkey swings in to deliver love... without getting too mushy. The card base is white, covered with red on the front. The white background is embossed with the bird and grass design to make it feel more jungle-like. The sentiment on the front and the verse inside were created on my computer. I think it turned out pretty cute and my nephew loved it. The only cartridge used for this one was Sweethearts. Naturally. I love your blog! I have chosen you to receive the Stylish Blog Award if you would like to accept it. 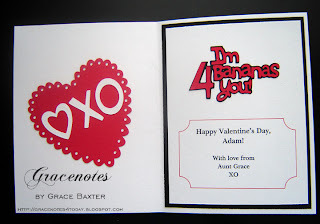 Visit http://anne-madebyanne.blogspot.com/ for all the details.